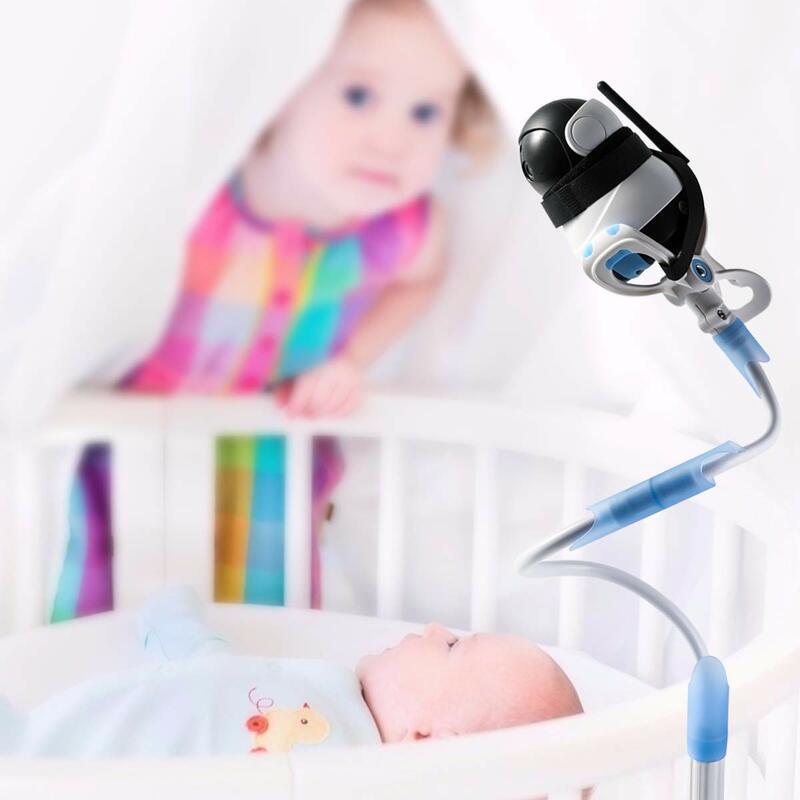 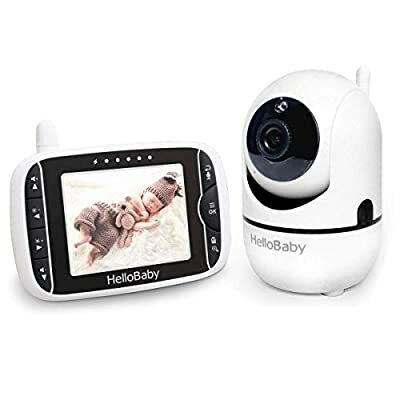 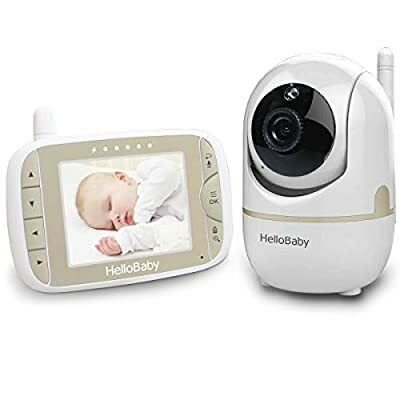 ❤【360° All-Around Guardianship】: The 360° rotatry baby monitor holder head give you full range of viewing, moreover, the long gooseneck supporting rod, can be flexibly bended and positioned to any angle and height you’d like, monitoring baby with splendid inevntion becomes easier to reach. 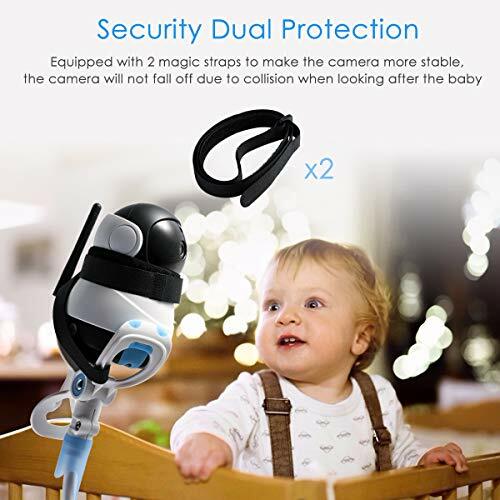 ❤【Powerful Camera Gripper Built Up】: Differ from most, this baby monitor clamp has super powerful gripping claws but also comes with extra pinned-up silicone liner and hook-n-loop belt. 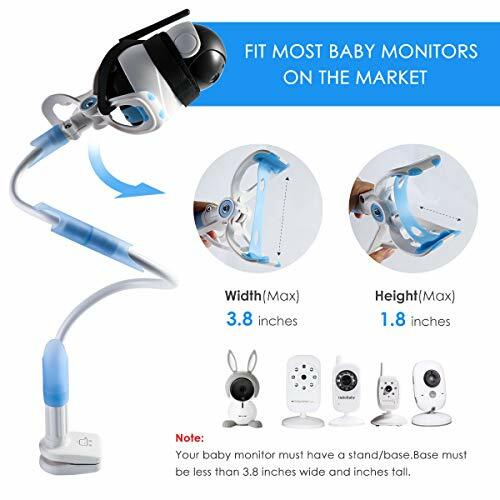 Inside the powerful claws intensified with additional silicone liner strap to enhance and with 2 hook-n-loop belts attached to to give the clamp diversionary force, and make sure baby monitor located sturdily, never fall, drop or slide onto floor accidently. 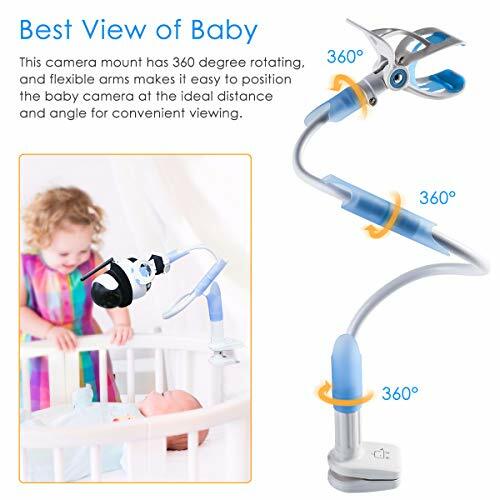 ❤【Fit Most Baby Monitors On The Market】: Baby monitor holder clamp can be opended to 3.8inches wide and 1.8inch tall maximumly, the large fit gap allows almost all baby monitors to house in. 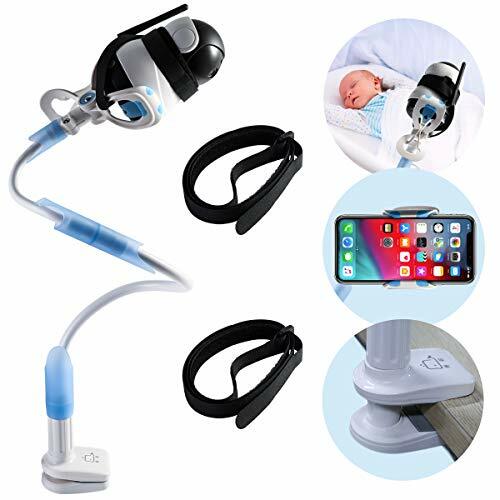 Apart from its role as a baby monitor, this gadget can be a perfect phone holder for abundant purposes as well. 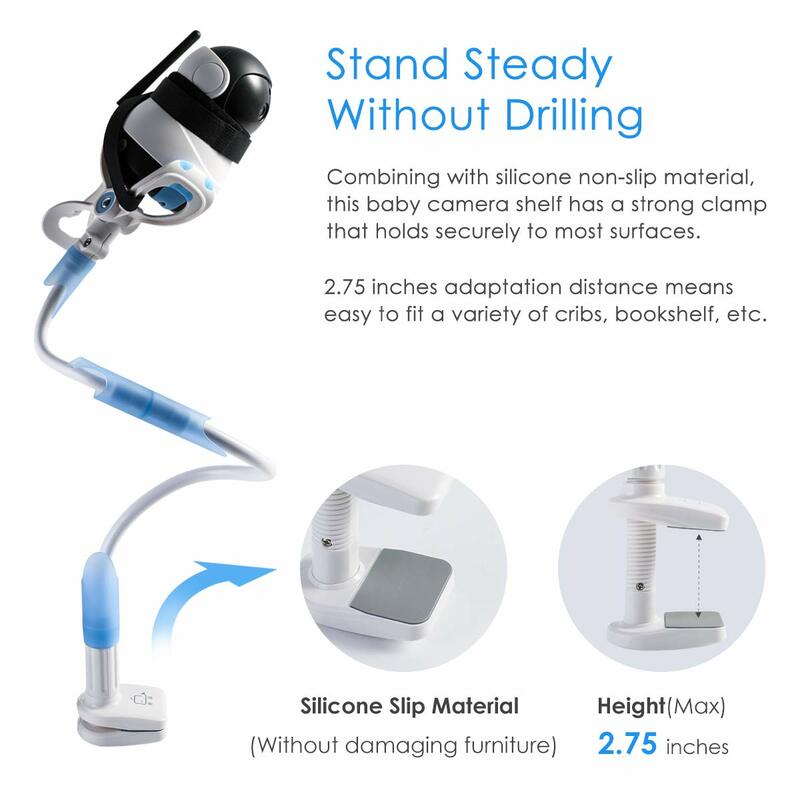 Find more pleasure it brings to you, not waste next minute at all, just bid with confidence. ❤Opening Size of Base Clamp: 2.75inch (70mm), which means the thickness of table within 2.75inch fitted. ❤Please allow 1-3cm (0.4-1.18″) difference due to manual measurement and slight color variation for different display setting. 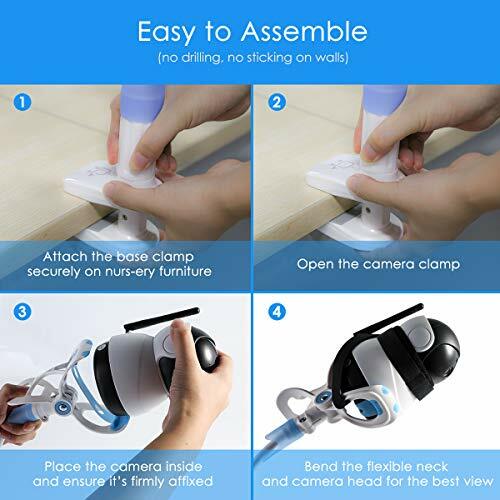 ❤【Easy & Quick Assembly & Disassembly For Portability】: Installation on desk edge or edge of other furniture is easy, so as the loading and unloading of the baby monitor, therefore, you can use it in home when cooking in kitchen or one room with baby left in nursey, or even outings for overnight stay owing to its mobile design. Unlike other permanently affixed baby monitor shelves, this one is mobile and portable, quick to assemble and disassemble, also light and compact to pack.